shaft conveyances, shaft haulage systems and conveyance rope attachments for the Australian mining sector. Shaft conveyances are vital components of infrastructure for the underground mining industry. 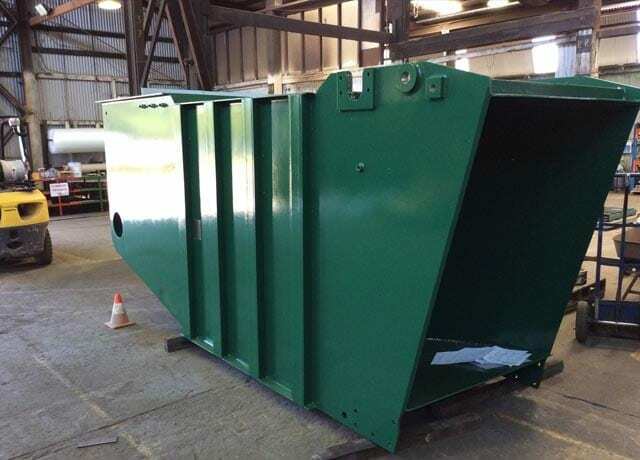 We operate in accordance with regulatory requirements and to the highest engineering and manufacturing standards, delivering tailor-made solutions designed to our clients’ exact specifications, and ensure your equipment is 100% fit-for-purpose. This page talks about our shaft conveyance services. For our drift conveyance services, click here. 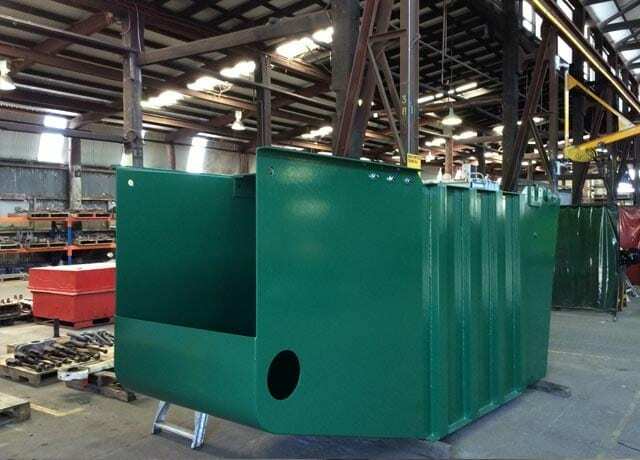 Australian Standards define a vertical shaft conveyance as any car, carriage, cage, skip, kibble, or stage, in which personnel, minerals or materials are wound through a shaft or any counterweight. Shaft conveyances are connected to a winding system which enables them to move up and down through the underground shaft. 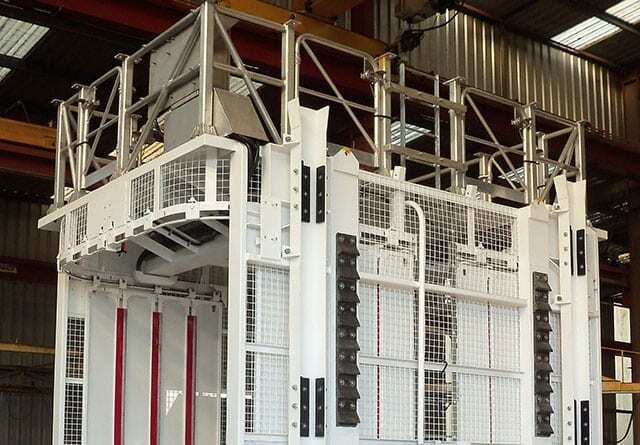 Vertical mine shafts are considered to be a high-risk component of a mine’s infrastructure, where the failure of critical components, such as winders or attachments, has the potential of causing multiple fatalities. Additional risks stem from the potential loss of control of the conveyance, fall of people or materials down the shaft, or collision with objects during the movement of the conveyance. The hazards associated with shaft haulage has led Australian Standards to set out specific requirements for designing, constructing, and inspecting conveyances in vertical shafts in AS/NZS 3785.4 Underground mining – Shaft equipment – Conveyances for vertical shafts. These standards aim to guarantee the safety and health of mine workers. In between periodic inspection and tests, ensuring proper equipment maintenance and fostering safe on-site practices will lead to longer equipment lifecycles and a reliable operation throughout. Shaft conveyances typically last around ten years before requiring replacement, due most commonly to rust damage. Reliance Hexham offers expert know-how in the design, manufacture, repair and testing of shaft haulage equipment for the Australian mining sector for coal, copper, lead, zinc, and gold mine operators. Assistance with on-site installation and commissioning. Specialised, non-standard lifting devices solutions. Reliance Hexham offers a fully integrated package that incorporates design, manufacture and testing of shaft conveyancing equipment. Our Design and Engineering process begins with understanding our client’s specific needs and requirements, after which we come back with a 3D simulation, concept proposal for feedback and discussion. Once our concept is approved, we go ahead and develop our detailed design, which goes through a loop of rigorous internal verification by our team. Equipment is manufactured in-house using exclusively high-quality materials and goes through both in-house and on-site testing (static and dynamic), before being installed and commissioned with the help of our engineering team. Our experience is accompanied by the latest software and supported by our certified quality management system.